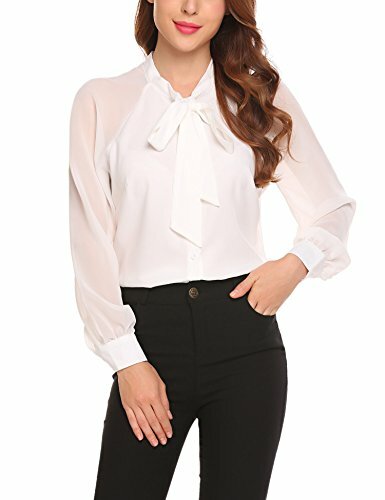 The chiffon blouse has a great touch, the fit and flow of the top with the cut is very flattering,perfect for any occasion: Casual or Work. Please allow 1-2cm (0.4---0.78inches) difference due to manual measurement. Feature--Long patchwork cuffed sleeve casual chiffon top, made of soft and breathable material,can be worn all year round. If you have any questions about this product by Lomon, contact us by completing and submitting the form below. If you are looking for a specif part number, please include it with your message.